Give your feline friend the taste that they crave with Koha! KOHA Limited Ingredient Stew’s are ideal for elimination diets and rotational feeding. All Limited Ingredient Diets include New Zealand green mussel to support joint health, pumpkin for healthy digestion and cranberries for urinary tract health. 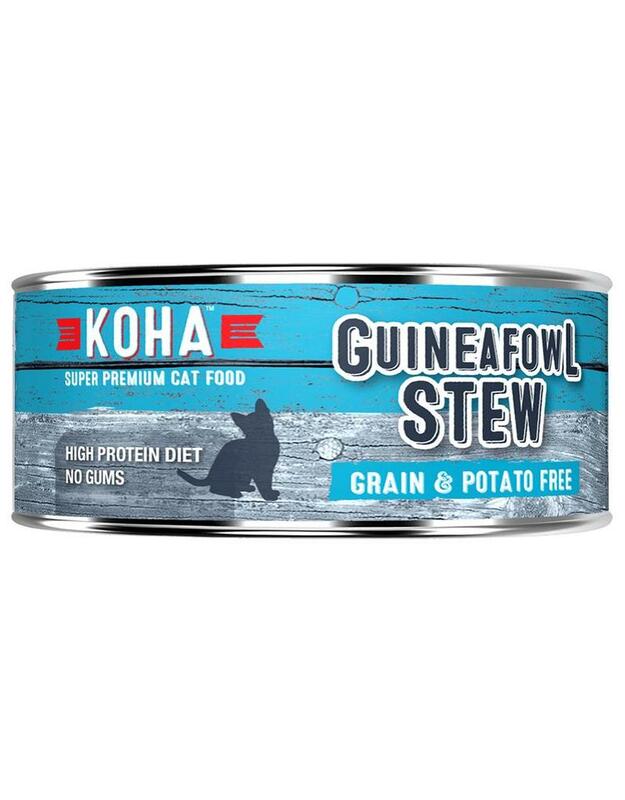 Made with a delicious moisture rich savory broth, KOHA Pet Limited Ingredient Diets have been formulated to meet the nutritional levels established by the AAFCO Cat Food Nutrient Profiles for all life stages. Proudly made in the USA!